LOS ANGELES -- Hyundai Motor America and Kia Motors America have been hit with a second U.S. civil suit seeking class-action status after the companies admitted to making bogus fuel-economy claims. The latest was in U.S. Central District Court in Los Angeles on behalf of 23 plaintiffs. It seeks $775 million in compensation for owners who say resale values have been damaged by the companies' inflated fuel-economy figures. The suit states that the proposed debit-card payouts to purchasers of nearly 900,000 Hyundai and Kia vehicles doesn't make up for the decreased value of those vehicles. "Plaintiffs and the Class have been damaged by Hyundai's and Kia's misrepresentations, concealment, and non-disclosure of the incorrect fuel economy numbers, because they were misled into purchasing Hyundais and Kias of a quality different than they were promised, and paying higher fuel costs they would not otherwise have paid," the suit says. Hyundai and Kia's apologies on Nov. 2 were prompted by a U.S. EPA investigation that found discrepancies between company fuel-economy test results and the agency's own results. As a result, the companies lowered the fuel-economy ratings for the affected vehicles. On most of them, the ratings fell by 1-2 mpg. The automakers said the 900,000 vehicles reflected about 35 percent of their combined sales of 2011-13 models through Oct. 31. The Los Angeles suit claims Hyundai and Kia violated unfair competition and consumer legal remedies laws, and engaged in fraud, false advertising, breach of warranty, negligent misrepresentation and "unjust enrichment." Citing a formula that accounts for all vehicles and miles driven over the likely economic life of the car, the suit claims that vehicle owners should be paid $775 million for their inconvenience. The actual damages sought are $907 million, but that does not account for the present value of future damages. As a result, a lower dollar value is being sought. A U.S. suit filed Sunday in Ohio on behalf of three named plaintiffs sought unspecified monetary damages. That complaint also asks that consumers who bought Hyundai or Kia vehicles with the inflated mileage figures be allowed to back out of their purchase or lease agreements. The Los Angeles suit was filed by prominent class-action firm Hagens Berman of Seattle. Hagens Berman also is one of the lead firms suing Toyota Motor Sales U.S.A., alleging unintended acceleration of its vehicles. "We think Hyundai's program falls well short of making this right for consumers," said plaintiff attorney Rob Carey, in a statement. "Making owners bring their cars in for an odometer check and forcing them to reapply every year for monies due today are enacted purely to shirk financial responsibility." A Hyundai spokesman said the automaker does not comment on ongoing litigation. 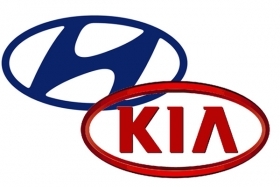 Hyundai and Kia officials have said the faulty claims resulted from "procedural errors" in internal fuel-economy testing. Under Hyundai's and Kia's proposed remedy, owners with mislabeled vehicles will bring them to dealerships for odometer checks. Dealers will forward the readings to the automaker, which will reimburse owners with debit cards for the extra gasoline they purchased.